It’s salad season. I like salads that are complete meals and keep in the fridge for several days. I recently made my Mustard Green Potato Salad which was every bit as good as I remembered. This one is salty and sweet and spicy. I’ve never cared for pineapple and ham on pizza but as a salad it rocks. 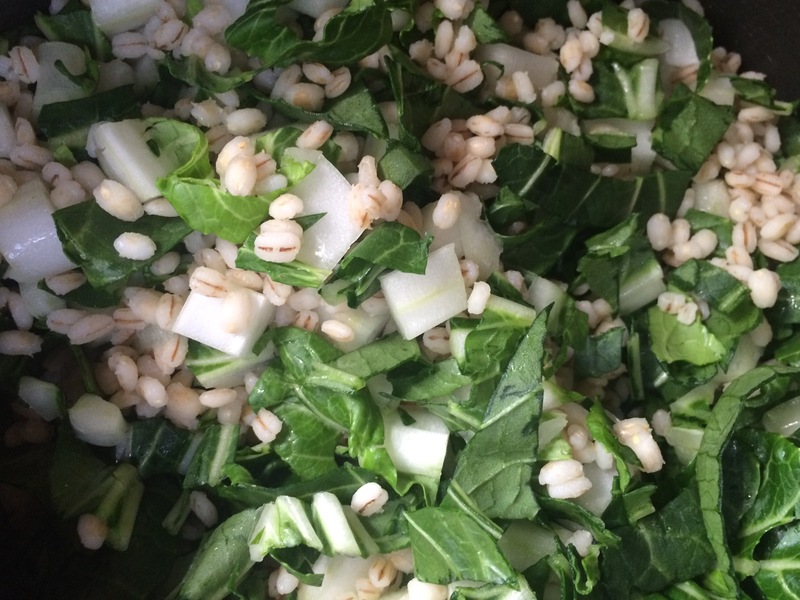 This would make a great potluck picnic salad. You can really adjust the quantities of things depending on what flavors you want to stand out more. 1c pearled barley boiled (cooked like pasta in salted water). Bok Choy diced. How much you use all depends on how big a head you get and how much you like it. I had an enormous one and used 6 or 7 giant leaves. 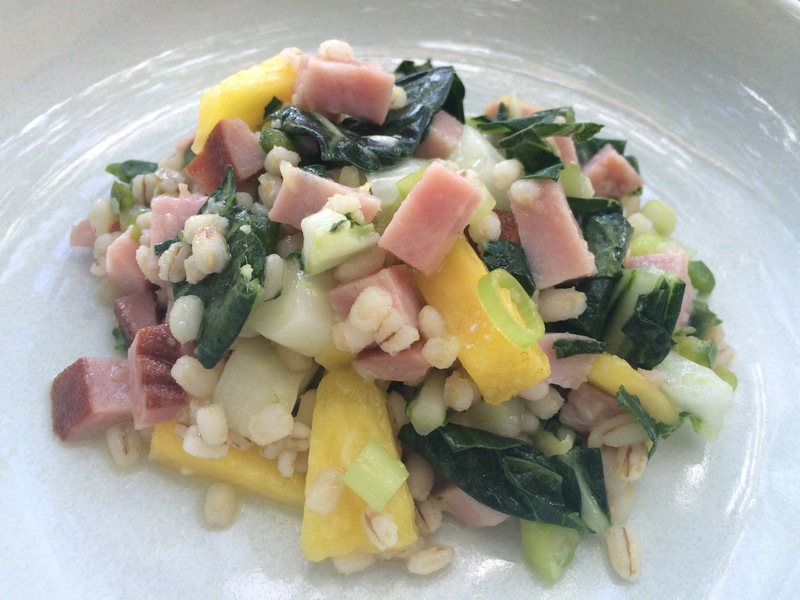 Drained the cooked barley and added the bok choy to cool the barley and slightly wilt the veggie. 1 lime – zest and juice. white wine – I didn’t measure, maybe 1/4 cup? Olive oil – maybe 1T? 2 deseeded jalapeños, chopped fine. 4-6 garlic cloves crushed in the garlic press. 1-2 inches ginger grated on the microplane. SALT and SUGAR to taste! Seriously stir it up and try it. 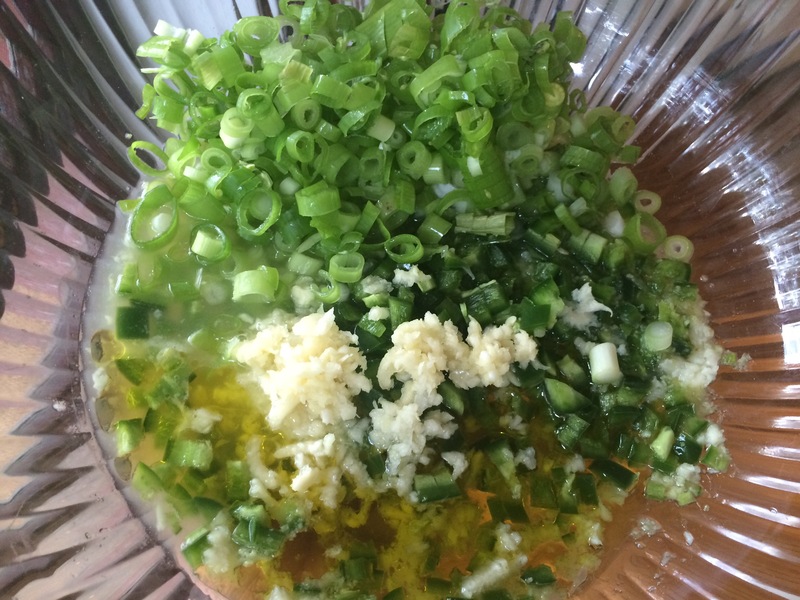 Add a little bit of salt if it’s not as flavorful as you’d think it should be. Add a little sugar if it’s too spicy. Don’t go overboard but you also can’t expect the pineapple and ham to do all the seasoning. Added barley and bok choy to dressing. 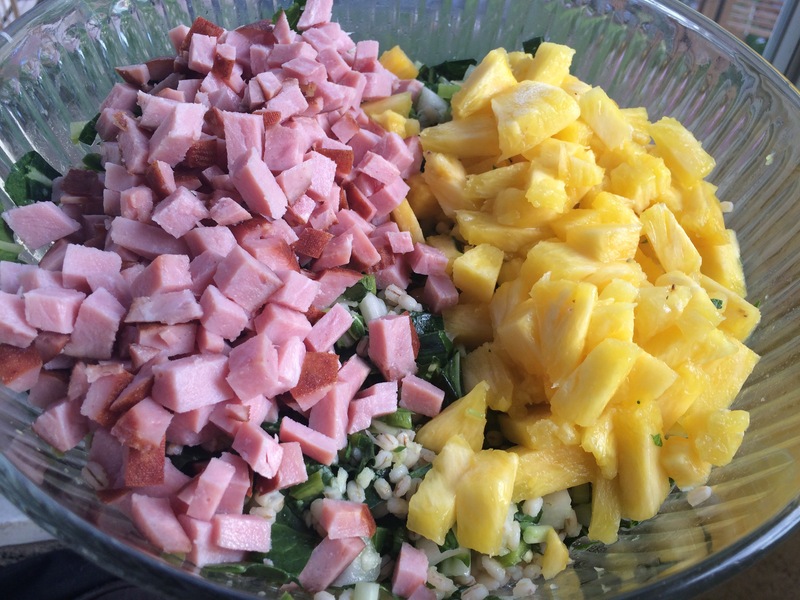 Added chopped pineapple (I used almost a whole store bought prepped one) and 3/4lb diced ham. SALT, SUGAR, possibly vinegar or wine or olive oil to taste! It may need some adjusting. The texture of the ham does get a little weird from the pineapple after a day. If you’re not bringing it to a picnic and eating it all in one day I suggest mixing everything but the ham. Keep a separate container of ham cubes and add them each time you make a serving. 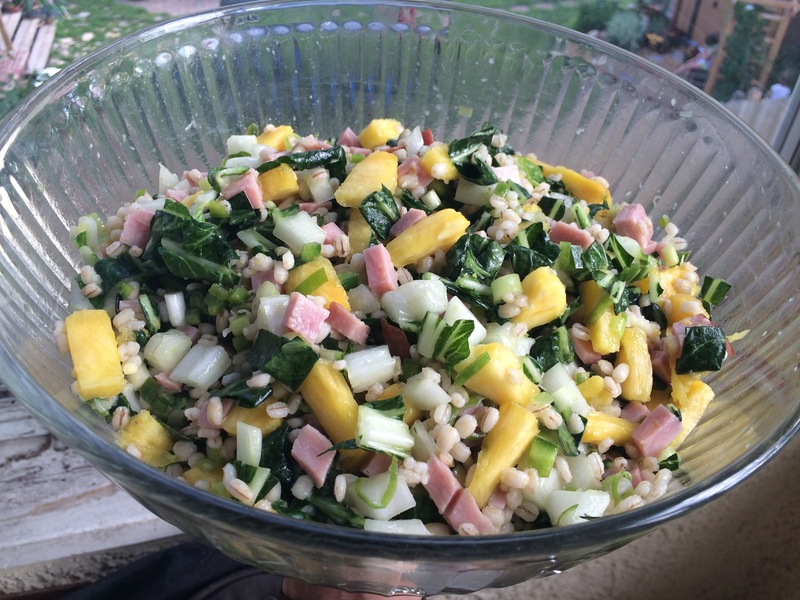 This entry was posted in Kym Cooked and tagged ham, healthy cooking, pineapple, salad, summer salads. Bookmark the permalink.